Although the concept has been in use for decades, the cloud began finding commercial adopters around 2010. Since then, Microsoft, Google, Amazon, and countless other companies have introduced remote storage capabilities that don’t require active management on the part of the businesses that use them. The introduction of this cloud technology marked one of the most significant changes in how companies now operate in the Digital Age. Though trends are continually coming and going, it’s become clear that the cloud’s impact is permanent. The cloud is much more than just a convenient way of housing and accessing companies’ digital assets. Instead, cloud tech benefits are revolutionizing the way many businesses operate. Those that don’t adapt in time will soon find that they aren’t able to keep pace with competitors that invested in the cloud long ago and are making the most of its benefits. Here are three examples that show how big an impact cloud technology has had and why it’s become an essential investment for all modern businesses. Without a doubt, one of the most critical ways cloud technology has changed how companies operate is by expanding ideas about what is possible. Up until about ten years ago, organizations had to build their strategies around the technology they had on site and what they could realistically hope to afford soon. If they didn’t have the budget or required space to add to their technological infrastructure, many conversations about growth simply weren’t worth having. These days, there are far fewer limits on what executives can consider for their companies. The scalability of the cloud means they can add resources as they please, which makes it that much easier to add new services and capabilities, too. This kind of scalability also means the cloud is always available, so downtime never gets in the way of a great opportunity or cuts one short. The cloud has already played an integral role in allowing businesses to take on sudden increases in online traffic without their sites crashing. Despite the apparent advantages of using the cloud to maximize a company’s potential, many business owners have been slow to adopt the technology for fear that storing their most crucial data “offsite” would also mean leaving it vulnerable to all kinds of cyber attacks. Given the constant threat, these threats represent, the concern is understandable. However, the truth is that the cloud is more secure than just about any traditional, onsite deployment. For one thing, greater scalability means security measures can quickly be increased, as well. 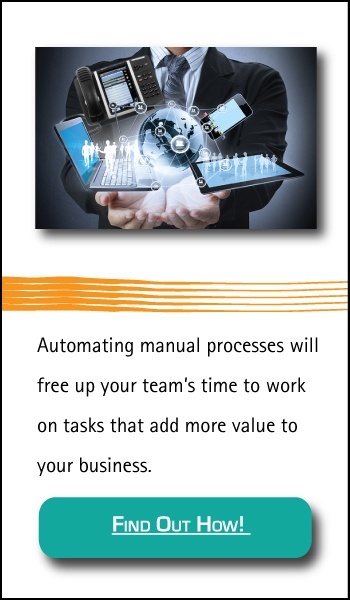 They can scale right alongside other business processes. This ensures that “scaling up” never means taking on security risks. Secondly, in the vast majority of situations, companies are harnessing cloud tech benefits by outsourcing this service to highly-skilled third parties that specialize in this service and nothing else. Among other things, this means they have InfoSec experts constantly monitoring their systems for any sign of danger. Therefore, for many businesses, moving to the cloud means their security needs go from being covered by a small number of IT professionals and software to industry professionals who specialize in keeping their servers secure at all times. It’s no coincidence that the growing adoption of cloud technology heralded the explosive growth of remote workers. Before the cloud becoming so accessible to businesses of all sizes, remote workers were the domain of only those that could afford some expensive workarounds. As the cloud has become increasingly more affordable, more companies have been able to allow their employees to work from anywhere in the world. They’ve also been able to outsource certain jobs like never before, which has grown the “freelance economy.” This means even the smallest of small businesses are often able to flex their workforces as necessary. The cloud’s impressive security levels also deserve credit for the increase in remote-work environments. Businesses can decide what kinds of access to grant to each of their workers and monitor who accesses different parts of the network at what times. Every modern company must adapt to the three ways cloud technology has changed the business landscape. However, it’s just as important to continue keeping an eye out for what’s coming next. The cloud is a dynamic concept which has gone through several significant evolutions just in the past decade alone. Those companies that can keep leveraging cloud tech benefits into significant advantages will be the ones that don’t just make the most of its current potential but are always on the lookout for new ways to put its power to use. 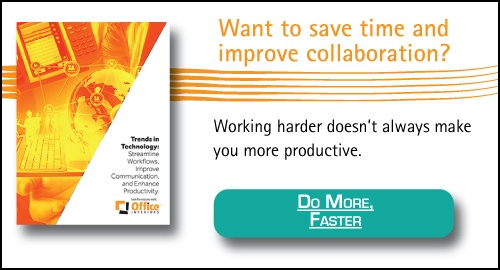 Are you interested in learning about other cutting-edge office technology trends? Download our guide on the latest tech trends!